A Google Places listing can take your business places. Pun intended. Having said that, the listing may not always work for you and if this happens, chances are that it’s one of your mistakes that have cost you dearly. For instance, while creating the listing, if you let important details fall through the cracks, you are unlikely to benefit. That’s because if the listing is meant for Google Places for business then it has to be complete and accurate at any cost. Only then you can expect to draw the potential customers. Likewise, choosing the wrong category may lead to an ineffective listing. With these two missing, you may end up with a listing that turns up in Google Places listing for categories that your business doesn’t operate in. This can lead to enquiries that are not related to your business at all and end up wasting your time. Also, if you want to use Google Places to your advantage, you cannot just create a listing and forget that you have one. Simply put, if you don’t maintain it or more importantly, it isn’t fresh and good enough to invite the potential customers, it may not serve the purpose it is supposed to. The good news is that while these things may prevent you from making the most of your listing, you can always approach a company that has its way with Google Places. 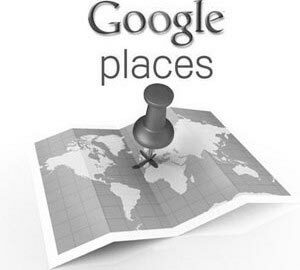 A good company with a lot of Google Places experience can really help you achieve a high ROI from time and effort spent on Google Places.